Gregory Guillaume started making wine in 2011, having originally moved to the Ardèche to explore caves. He discovered the joys of artisan wine from a friend whom he worked for for a few years before starting out on his own and now farms around three hectares of vines around the picturesque villages of Villeneuve-de-Berg and Alba-la-Romaine. He’s an easygoing, pragmatic guy who makes natural wine simply because it is what he likes to drink. This way of farming and indeed of life fits into a wider philosophy of a respect for nature and its ability to thrive through finding its own equilibrium. The vineyards are tended organically, biodiversity is championed and they visibly teem with life. This setting provides the clean, healthy fruit so important when making wines this way. Since the beginning, Greg has made wines made from nothing other than grapes. He’s always been happy to take this risk in the hope of making pure, nourishing wines that people will enjoy everyday and he does just that. While these aren’t the most complex wines in the world, that isn’t the point, time and time again, they are simply a joy to drink. This weekend we will be welcoming Greg and our other producer from the Ardèche, Anders Frederik Steen, to London for the first time. 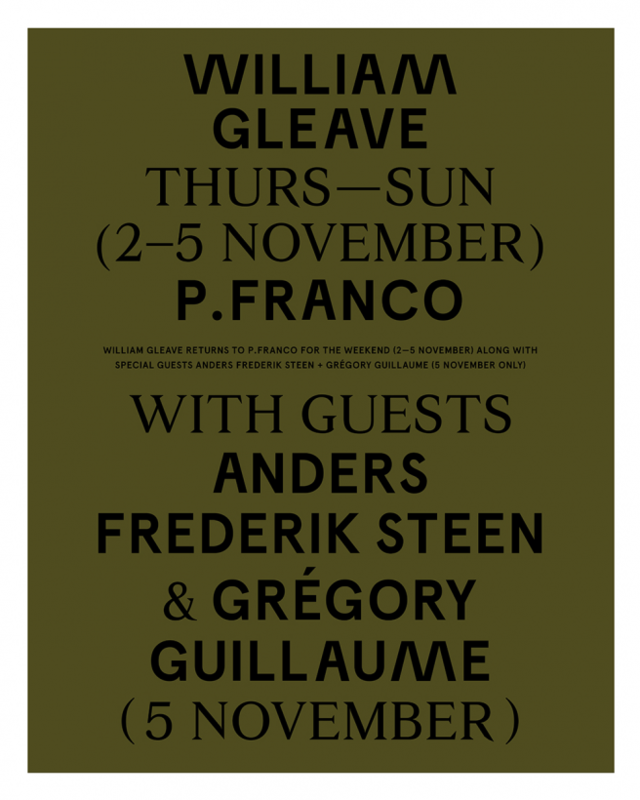 From 2pm until late on Sunday they’ll be at P.Franco pouring their wines alongside some wonderful food from William Gleave. There is no need to book, just pop by for a glass or two and a chat with the guys. If you work in the trade, this coming Monday 6th November they’ll be pouring and talking through their full range of wines from 10am-5pm in the cellar of Duck Soup in Soho. Feel free to drop in anytime. Grenache Blanc from a twenty year old plot in Alba-la-Romaine, given a gentle press straight to cuve, it spends the winter resting in barrels. This is a little reduced on opening, but with air blossoms into a beautiful wine with a refreshing harmony you don’t always find in this grape. Chardonnay from forty year old vines in the same vineyard as ‘Lucky’, this a great example of just how well this grape can perform a little further south. Open and vibrant, pure-fruited and with a lovely density and texture, it is difficult to put down. A wonderfully unique rosé made from the Alicante grape. It’s just given a direct press, but such is the depth of colour the variety holds, it looks more like a light red. Gorgeous, spiced aromatics and a compact, elegant structure make for a rosé that’s very much suited to these cooler months. Grenache from a beautiful, remote plot of 50 year old vines which spends around a month infusing with skins and stems and no pigéage. This aromas here really pop out of the glass, a vibrant wine, clear and precise. An 80:20 blend of Merlot and Syrah fermented with whole bunches for 2-3 months. Though the lowest in alcohol of these wines, the fruit here it noticeably sweeter, rounder and a little more full, though the tannins are a little firmer and defined too. A wine we’ll be reaching for through the winter time and time again. A light, bright riff on Syrah that manages to pack everything we love about the grape into it’s nimble frame. Dark fruited, herbaceous and briny, with some fine little tannins to boot.